Animals come to the Sanctuary for a number of reasons. They are seized by the RSPA or Police because they are being ill treated or neglected. In this instance, more often than not they arrive with severe burns or missing limbs. Burns are usually treatable and over time heal up nicely, Animals with missing limbs very rarely get re-homed so they live the remainder of there life with us at the Sanctuary. Sometimes the owner has passed away and there is no family members that can take care of the animal. A tortoise is a perfect example of this as they have been known to live well over 50 years in captivity with the proper care and attention. So quite often they out live their owners. longer cope. Animals come to us sometimes, simply because their owner can no longer afford to pay for their upkeep which depending on the species can be quite expensive, or they have grown to big and their owners can no longer cope. But whatever the reason or state the animal arrives in, we are always happy to have them and if they can be re-homed, we will always do our best to make this happen. Remember, NEVER release your pet into the wild. This Bosc Monitor was put in an airing cupboard where its body melted and stuck to the hot water tank. Unfortunately the heat also fused some internal organs together and stopped them from functioning. We even take in Lizards with missing limbs like this Iguana. Animals that come to us in this condition very rarely get re-homed. They live out the remainder of their lives with us at the Sanctuary. Not feeding your pets the correct foods can course your pet to be over weight or obese which in turn may leed to problems such as respiratory failure. If this isn't dealt with properly, the end result is usually fatal. 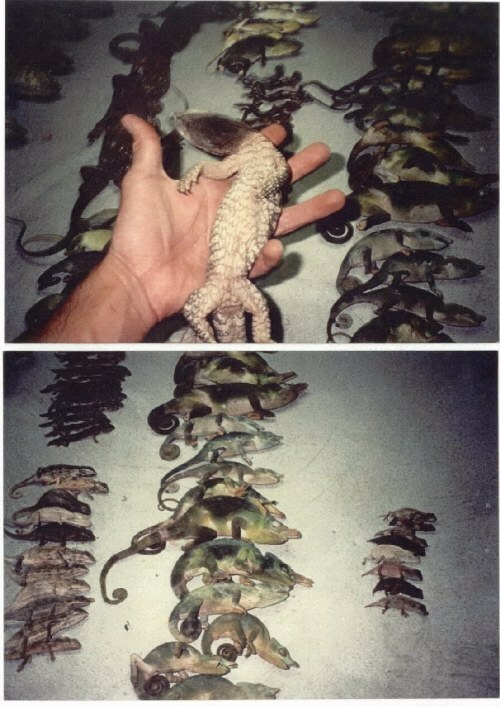 Countless Reptiles are killed everyday through ignorance, neglect or abuse. Most of the time the abusers go unpunished due to peoples ignorance of their suffering. If you like our site. Why not tell your friends about us by using the tell a friend link below.